Handix Scientific is involved in several externally-funded research projects focused on understanding climate and air quality impacts of black carbon aerosol. Handix Scientific is collaborating with Prof. Andrew May's group at Ohio State University to compare the responses of a variety of commercial black carbon instruments to biomass burning emissions as part of the NOAA supported FIREX project. The goal of the project is to better understand factors affecting the response of different instruments to aid field studies and comparisons to historical data. The instruments include traditional filter-based attenuation and thermal-evolution methods and newer photoacoustic, laser-induced incandescence, and light extinction instruments. Instruments were deployed in the USFS Fire Sciences Laboratory in fall 2016 during the FIREX laboratory component. Together with Prof. Delphine Farmer's group at Colorado State University, Handix Scientific is performing a series of field measurements to quantify and understand processes affecting BC deposition to land surfaces. In addition to analyzing BC in precipitation samples, HS and CSU developed a novel application of a single-particle laser-induced incandescence instrument (DMT SP2) to perform eddy correlation measurements of BC dry deposition. 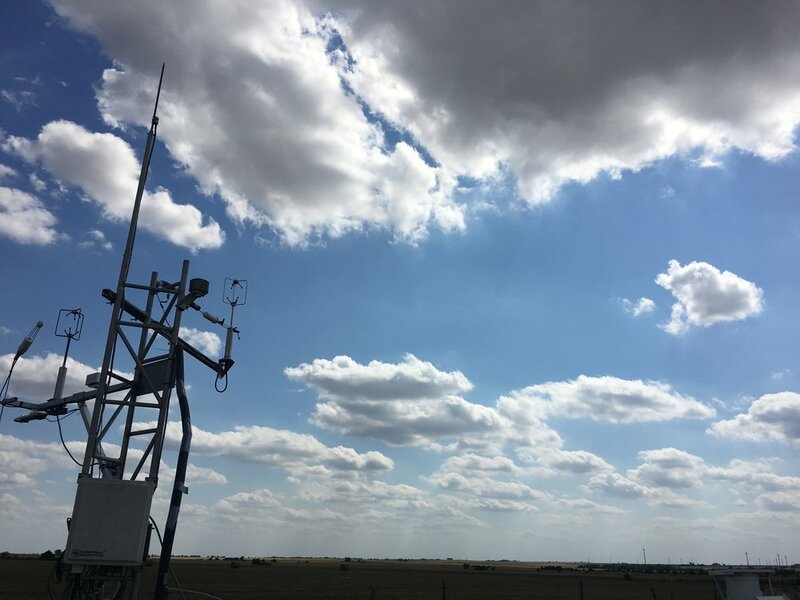 The field work took place during summer 2017 at the US Department of Energy's ARM Southern Great Plains site in Oklahoma, with additional follow up measurements planned. The work is supported by the DOE ASR program. Handix Scientific partnered with Lawrence Berkeley National Laboratory to evaluate a laboratory-developed light-weight BC sensor for balloon and UAV-based measurements. The instrument measures light-attenuation through a small filter and the project focused on determining if existing correction schemes for similar filter techniques can be applied to the new sensor. The work was supported by a US Department of Energy Phase 1 STTR. Results were presented at AAAR in late 2017.